The holidays are the perfect time of year to consider sparkling wines. They're not only full of festive bubbles, but they're also quite versatile. WASHINGTON — Christmas is just around the corner, and New Year’s will quickly follow a week later, so now is the perfect time to think about wines that are both versatile and celebratory in nature. 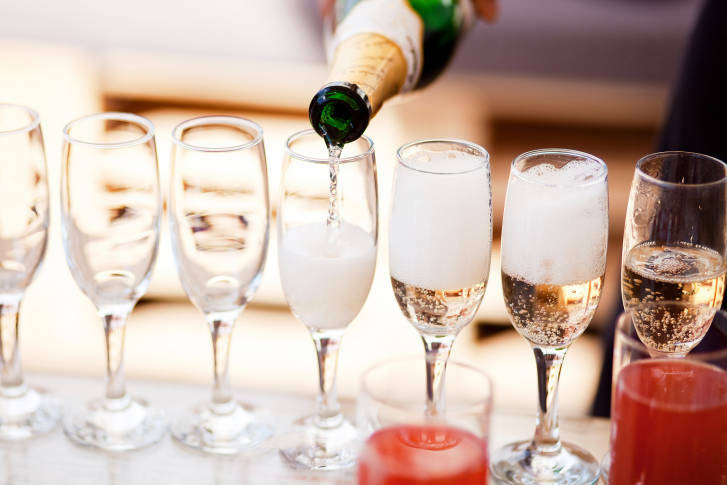 Both Champagne and sparkling wines pair well with a variety of foods and are enjoyable on their own. And now that the holiday season is in full stride, it’s a great time to reach for a bottle of bubbly. Whether you are hosting a holiday soirée, need a well-received hostess gift, or just want to start your own tradition of enjoying these wines, try a few of the following suggestions and have fun popping the cork. For example, wines that use the term “Crémant” on the label are a sparkling wine that is made by the Méthode Champenoise — but they fall outside the boundaries of the Champagne region. Crémants might also be made from grapes other than the traditional Champagne grape varietals. However, while Crémant d’Bourgogne, from the Burgundy region of France, does use some traditional grapes in their sparkling wines (chardonnay and pinot noir), they also will occasionally blend in Gamay, pinot blanc, and pinot gris. Crémant d’Alsace, from the Alsace region, often uses pinot blanc, Riesling or pinot gris in their sparkling blends. Prosecco sparkling wines, from the Veneto region of Italy, are wonderfully crisp and refreshing. These wines are made using the Charmat method, in which the secondary fermentation occurs in large stainless steel tanks before the wine is bottled. While this may be a less-expensive way of getting bubbles in the wine, it actually works quite well with the Prosecco grape, because it preserves the fresh, delicate flavors that might otherwise be masked using the traditional Champagne method. Here are four wines that will put a little sparkle in your holiday season. Next week, I’ll talk about Champagnes for the New Year! If you’re hosting a party, Prosecco is a great way to enjoy a wonderfully crisp, refreshing sparkling wine that will make your guests feel welcome and your wallet say “thank you.” The Non-Vintage Da Luca Prosecco from Veneto, Italy, is perfectly balanced and aromatic, with crisp citrus acidity supporting notes of apple, ripe pear and white peach. Invigorating and playful, this easy-drinking sparkler is beautifully versatile and can be enjoyed on its own or paired with fresh cheeses, grilled vegetables, seafood and sushi. It’s a great value at $10.